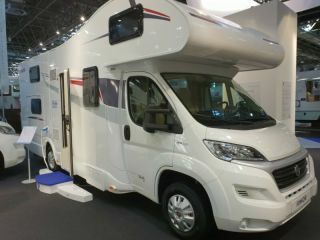 Dream away in this spacious motorhome from Fiat. 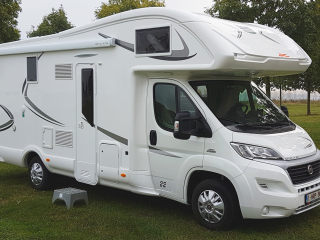 With its 130 hp and a length of 6.99 meters you can travel in complete safety and comfort in this agile mobile home, with a normal B driving license! It has two double beds and three single beds, the double bed in the alcove and the bunk beds even have a length of 220 cm. Is offered with full insurance, BA-OMNIUM and travel assistance, so you can travel carefree. He is also equipped with many options and conveniences, including of course a comprehensive kitchen inventory for 7 people, mattress protectors, bucket and cleaning materials, free outdoor furniture, groundsheet and BBQ. also 20 meters of electricity cable, wheel chocks, toilet product chemical toilet, gas bottles, water hose, fly screens, special Motorhome GPS, .... is on board. Actually we want you to leave for a super holiday and see you come back with a smile, in short, to give you an unforgettable holiday, that's what it's all about. In July and August minimum 1 week rental .Motorhome is refueled, like refueled again. Cleaned out and handing in, and emptied the chemical toilet and cleaned. Shine through us 140 euros, toilets not cleaned or emptied 25 euros. if not full tank upon return, topping by us at market rate + € 10 service charge. These amounts are regulated by deposit if sufficient.